Charles Fracchia is the founder and CEO at BioBright, a company building a smart lab† to improve reproducibility in bio-medical research. He is on a leave of absence from the MIT Media Lab where he was an IBM PhD Fellow in Joe Jacobson’s Molecular Machines group, and jointly in the Church lab at the Wyss Institute at Harvard Medical School. Charles obtained his bachelor’s at Imperial College London, where he worked on a bioelectronic interface between engineered bacteria and electronic sensors. He continued his thesis work at IBM Research, where he has been encouraging research in the field ever since. Charles worked as an early intern at Ginkgo Bioworks, where he developed many of the automated assembly pipelines still used today. 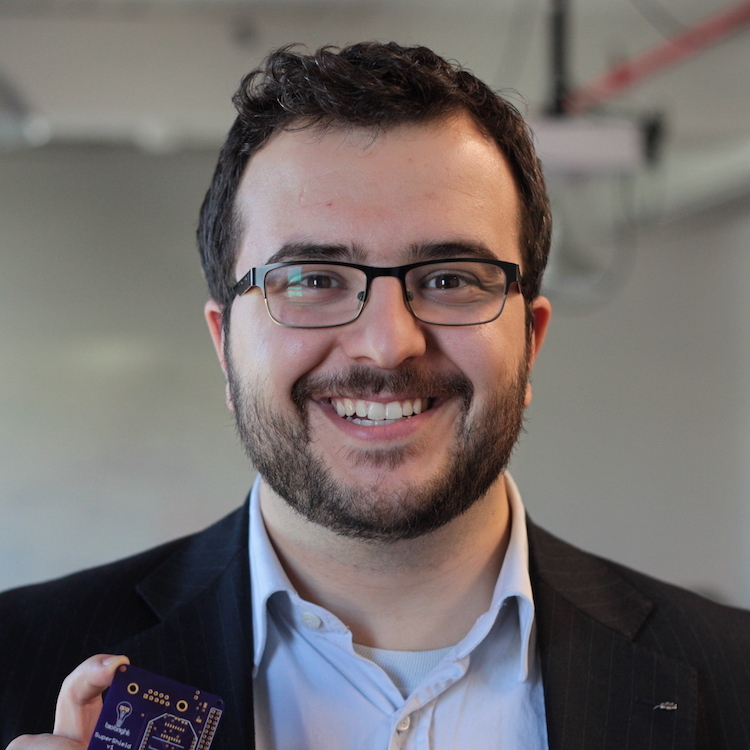 Charles has spoken about his work at many different venues and online including the White House, MIT Sloan, NASA Ames, IBM Research, Airbus, O'Reilly and HackADay. His current academic interests lie at the intersection of biological engineering and electronics called digital bioengineering†. He was the Biology track chair at SOLID2015 mixing biology, electronics and computer science, instigated‡ and helped organize the Bits ↔ Bio conference, has represented Boston for the Hello Tomorrow challenge (European 100k), and is a founding member of the first US bio-hackerspace.